THREE-TIME cancer survivor. Valerie was diagnosed and treated for Non-Hodgkin’s Lymphoma in 1999, Stage II Breast Cancer in 2014 and 2015, and Stage IV Breast Cancer in 2018. As of April 2019, she has beaten cancer again! She reactivated her superhero within, and exactly 5 months after receiving hormone treatment only–no surgery, no radiation, my chemotherapy, Valerie no longer has active disease. The cancer is gone. She is thrilled that she is cancer-free and thriving. And has had no side effects. 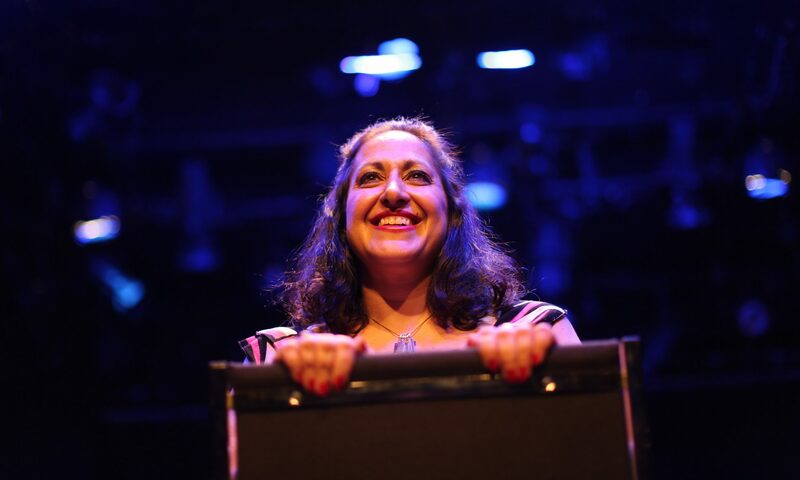 Valerie has kept up a full schedule of performances–nothing has stopped her: Valerie’s inspirational solo show, The Pink Hulk, has been accepted into 26 different play festivals worldwide in only 2 and 1/2 years’ time, won multiple awards and has been touring since 2016, impacting audiences with the show’s universal message of hope and empowerment. Now more than ever The Pink Hulk must be seen–it is a true testament to the power we have within to fight back any adversity in life–and TO NEVER GIVE UP! A graduate of the American Academy of Dramatic Arts, her credits include the Off-Broadway production of A Stoop on Orchard Street, Cookie in Rumors and Claudia Shear’s Blown Sideways Through Life. Films: How I Became that Jewish Guy, which premiered at a November 2015 NYC Film Festival, and Bridges and Tunnels. Valerie volunteers as a motivational speaker at the Leukemia & Lymphoma Society’s Team in Training events and Make-A-Wish Foundation. As a marathon cyclist, she cofounded Cycle of Hope, which raises money for national and international cancer organizations through bike marathons. Her most recent biking event raised almost $5,000 for the American Cancer Society and the Leukemia & Lymphoma Society. Memberships include the Dramatists Guild, League of Professional Theatre Women, AEA and SAG-AFTRA. She also performed improv throughout New York City with improv groups Faceplant, Cronuts and Cherub. With more than 20 years of experience as a writer and an editor, she also teaches improv to high school students at the Annual Virginia State Thespian Conference. She wrote and starred in the one-woman musical Bring On a Man! ; and starred and cowrote with Jim Tuohy the two-person show Two-mur Humor: He’s Malignant; She’s Benign and starred and cowrote with Maria Licari the two-person show Wanted: A Few Good Men. Padraic Lillis is the founding Artistic Director of The Farm Theater. He was awarded Best Direction of a Solo Show for Valerie’s The Pink Hulk solo show at Planet Connections Theatre Festivity. Padraic has also been awarded the NY IT Award for Outstanding Director for Lindsay Joy’s Rise and Fall of a Teenage Cyberqueen, Overall Excellence Award from NY International Fringe Festival for Lee Kaplan’s Bully, Best Overall Production of a Solo Show and Planet Advocate Award for his solo show addressing suicide awareness Hope You Get To Eleven or What are we going to do about Sally?, and is a member of the Indie Theater Hall of Fame. Other solo shows he has directed are Adina Taubman’s award-winning, A Line In The Sand (a documentary show about Columbine), Kelly Kinsella’s When Thoughts Attack, and How To Do A One Person Show, and he has written and performed his solo show How To Survive Crack Addiction. He is a published playwright with Dramatist Play Services and Indie Theater Now. His film Hand Over Hand, which he wrote and directed, was awarded Best Short Film at the Milan International Film Festival. Padraic was awarded the Dayton Hudson Distinguished Artist Fellowship. He is a member of Labyrinth Theater Company and a lifelong Yankee fan. Superhero Supporters – Thank you! A very special thank you to Mark Ruffalo, who is a true superhero and cherished friend. 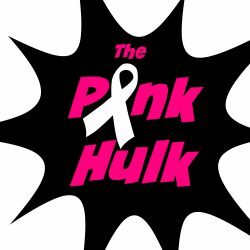 The Pink Hulk is in loving memory of my beloved Aunt Bobbie (Barbara Marks, April 3, 1937—January 7, 2016) and my dear family friend, Vivian Murad (December 3, 1945—November 16, 2013).